Micro-influencers prove that brands need not partner with influencers who have large followings. While influencers with millions of followers, sometimes called macro-influencers, have large audiences, they may lack the engagement rates of micro-influencers In fact, data suggests that when it comes to influencers, bigger isn't always better. In addition, micro-influencers tend to come at a lower cost. Brands can reach a diverse audience that’s more likely to convert with 20-30 micro-influencers at roughly the same cost of a few macro-influencers. Micro-influencers make it possible for virtually any company to conduct an influencer marketing campaign. Below are a few brands that have successfully worked with micro-influencers to increase awareness. 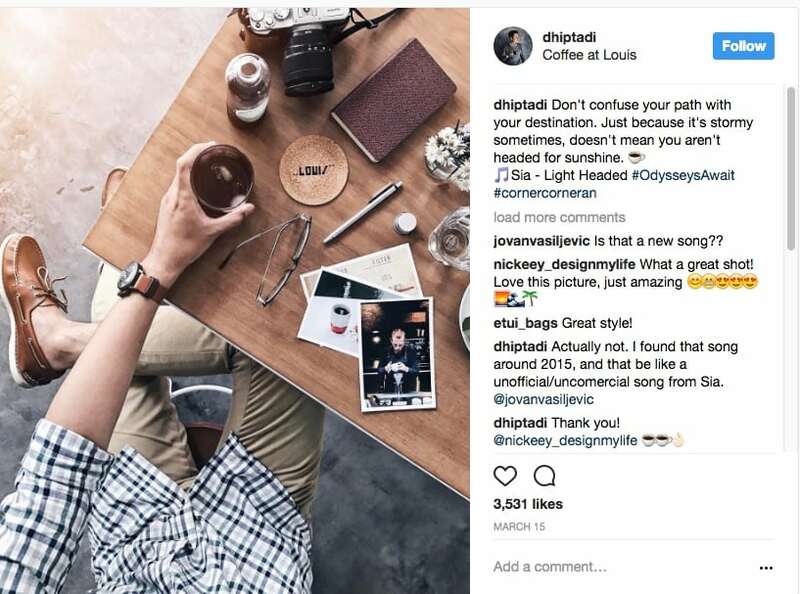 Even some well-known brands with large marketing budgets are opting to work with micro-influencers. When Slava Daniliuk (@slavatheshrimp) started sharing posts with one of Sperry’s campaign hashtags (#OdysseysAwait), the brand decided to repost some of his images and tag his account. For an individual with fewer than 5,000 influencers, the additional exposure was well worth the use of his photo. Sperry also posted Dhipta Adi Pamungkas’ (@Dhiptadi) photo on its account. In exchange for exposure and recognition, these micro-influencers provide Sperry with quality, authentic imagery. Many of the photos in Sperry’s feed belong to micro-influencers. 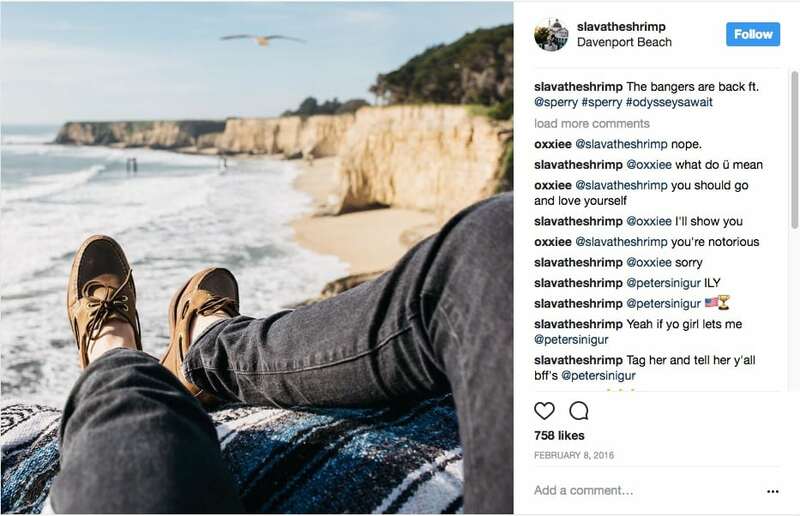 The takeaway from Sperry is that sometimes the best micro-influencers are those already talking about your brand. What brand wouldn’t want to turn a loyal customer into a micro-influencer? Look to expand those relationships with the people who already know and talk about you. Another brand, Daniel Wellington, steers clear of traditional advertising for the most part. The brand reposts content from users ranging from celebrities to micro-influencers. Rather than specific campaigns like Sperry, Daniel Wellington runs an ongoing branded campaign with the hashtag DWPickoftheDay. Influencers of any size use the hashtag for a chance to be featured on the brand’s account, which boasts more than 3 million followers. Daniel Wellington even offers a discount code for some micro-influencers to share with followers. It's sensible to think highly engaged audience members may be more likely to become customers when the micro-influencer they follow seems like a friend. Tiffaney Lau is a micro-influencer with some 4,600 followers. Her Daniel Wellington photo (above) with her unique discount code received more than 500 likes and 40 comments, excluding her responses. That’s an engagement rate of roughly 13.7%. A successful influencer marketing strategy can include several types of influencers. Alternatively, run an ongoing campaign like #DWPickoftheDay to encourage micro-influencers to share posts featuring your products. This ensures you’ll always have your pick of quality content, and that your Instagram feed or website has a community feel. Don’t think that micro-influencer campaigns are limited to fashion. 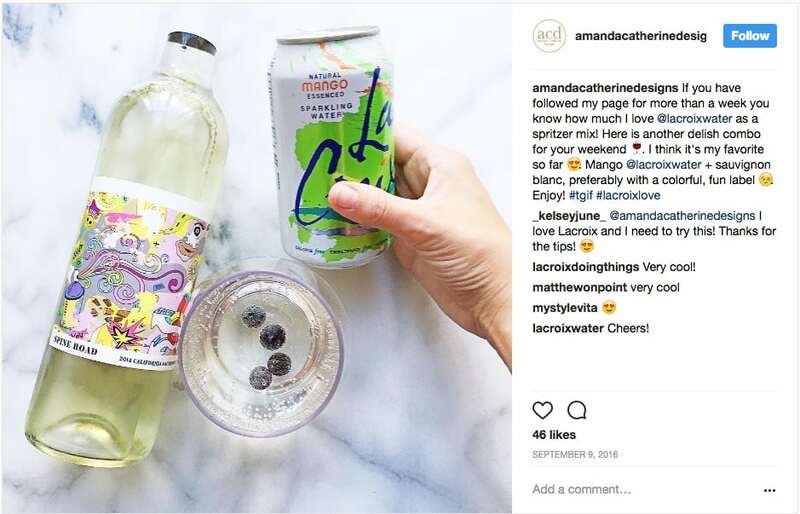 Beverage maker La Croix is one of the most well-known examples of brands that have seen success with micro-influencers. Instead of competing with Perrier on TV, La Croix believed its bright packaging could stand out on social media. 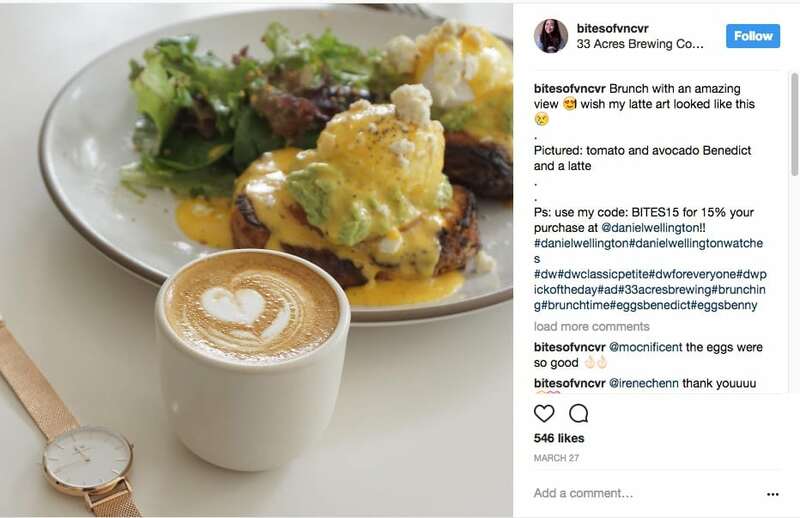 It used micro-influencer campaigns, along with the craze of the Whole30 nutrition program, to grow its Instagram following from 5,000 to 77,000 followers. The brand now has fostered a community around its beverage. In one campaign, La Croix enlisted micro lifestyle bloggers to create drink recipes using the beverage. Emily of The Style Hunt created a Galentine’s Day cocktail on her blog. In addition to her blog readers, Emily has just about 8,500 followers on Instagram. Here’s another La Croix cocktail recipe--this time from Amanda Catherine Designs, who has nearly 7,000 followers on Instagram. The can fits perfectly with Amanda’s aesthetic and she shares a La Croix-inspired recipe with her followers. You’ll notice a few La Croix posts throughout her feed. If engagement is your goal, consider partnering with micro-influencers. Often content from these types of users is more authentic and niche, creating a deeper connection with potential customers and fans. The easiest way to find the right brand advocates is to start with a search of your brand. Who is talking about you? From there, your community will grow organically. Ellen Borza is a senior online PR specialist at Web Talent Marketing.